Registration for the RC Goldline Half Marathon Year 3 will soon open. 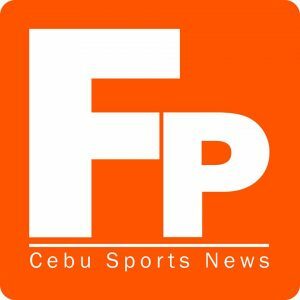 For its third undertaking on September 3, organizers have decided to make the ongoing grassroots sports training program of the Cebu City Sports Commission (CCSC) its benefactor. “All proceeds of this event, we will turn over to the CCSC. We not just sell products but we also have the heart to serve the less privileged,” said Christian Paro-an, the president of RC Goldline during the event’s press launching at the Golden Prince Hotel and Suites, Thursday, August 10. According to Paro-an, he hopes that they will be able to encourage the beneficiaries to later on also help the less fortunate when they themselves have jobs already. CCSC chairman Ed Hayco said they decided to support the RC Goldline Half Marathon because they have one common, meaningful purpose for the less fortunate athletes, the underprivileged kids of Cebu. “We are providing a transformation for the underprivileged kids of Cebu thru an event of the RC Goldline,” Hayco said. Hayco was accompanied by CCSC commissioner Allan Delantar, who outlined the undergoing grassroots sports training program of the CCSC. Free slots will be given to members of the CCSC grassroots sports training program especially the Guba Runners headed by first Filipino marathon Olympian Mary Joy Tabal, who is from Guba herself, and her coach John Philip Dueñas. Paro-an said that they decided to hold the third edition of their half marathon this September because they will also be celebrating their 20th year anniversary. The first two editions were held in April. For the first time also, Joel Juarez of Coco Running which will be handling the race, said that timing chips will be used. They will be placed on the race bibs and on the shoe tags. The race will also now start and end at the Robinson’s Galleria, another new partner of the event. Aside from the 21K, other distances to be contested are 3K, 6K and 12K. Winners will get cash prizes except for the 3K. There will be a local and a foreign category and male and female divisions in each distance. Top 3 male and female finishers in the local category will get cash prizes while in the foreign category, only the top 1 male and female will get cash prizes. In the local category, top finishers in the 21K will get P5,000 for the first placer, P4,500 for the second and P4,000 for the third placer. The 12K top finishers will receive P3,000 for the first placer, P2,500 for the second placer and P2,000 for the third placer. The 6K first placer will pocket P1,500, P1,000 for the second placer and P700 for the third placer. For the foreign category, top 1 in the P21K will get P5,000, P3,000 for the top 1 in the 12K and P1,500 for the 6K top 1. All top 10 overall will get gift packs, certificates and medals. Exciting prizes will also be raffled off. Registration fee for the 3K is pegged at P350, P500 for the 6K, P600 for the 12K and P700 for the 21K. Students, senior citizens and PWDs will be getting P100 discount. Those interested can register at selected RC Goldline shops, Toby’s, Runnr, Robinson’s Galleria and at the CCSC on selected dates. For more information, please checkout the RC Goldline Facebook page. Aside from running, several activities are also lined up to entertain the participants like Zumba to warm-up the runners before the competition then fun games after the running.